The thing is, in this day and age, when people have their copies of a game early, they also tend to want to stream them, make videos of them, and talk about them. So, naturally, soon after the retailers broke street date, there were all kinds of videos popping up on YouTube, sharing details about the game that people hadn't seen before. This triggered an explosion of anger regarding "spoilers," as always happens the moment someone shares something about a game that has yet to be released... or, just as often, it has been released but the person getting angry simply hasn't been able to play it yet. Whether it's screenshots, videos, or simple hands-on previews, it's becoming increasingly difficult as a games journalist to actually talk about a game for fear of upsetting someone about a "spoiler." For clarity; I'm not defending the people that are out there creating videos about Smash Bros. Ultimate. In fact, as a journalist, I'm every bit as annoyed at those people, as they're attempting to capitalise on a game that the rest of us will not be able to talk about because we will be held under embargo until launch day. Because of those people leaking details and information, there will be less interest in what we might cover in our reviews, so effectively we're being punished for doing the right thing by Nintendo and the community. More generally, though, I've had people get very upset at me over "spoilers" in years past. Often, in fact. Whether I've shared screenshots of games I'm reviewing, or talked about plot points for games that have been out for weeks, or even years, it can be very difficult to actually talk about a them without someone getting very upset at you, because they hadn't played the game yet, and therefore in their minds it's my responsibility not to spoil it on them. But here's the thing. Every time we need to moderate what we talk about with a game, we reduce our ability to talk about it in-depth. It's one thing to expect that we won't ruin major twists or surprises within a narrative (so, yes, it's quite fine to get mad at anyone spoiling the "Luke, I am your father" moments, as those have been designed to shock an audience). It's quite another to tell us we can't talk about any narrative specifics of a game. For an example that always comes to mind, when I reviewed Danganronpa 3, I uploaded some screenshots to Twitter to highlight some out of context dialogue regarding one of the characters, which really highlighted her personality and some of the game's humour. Those screenshots gave away none of the mystery, twists, or major plot points of the game, and indeed were completely within the publisher's own embargo restrictions, and yet I still got yelled at for "spoilers." Our job as critics is not to simply say "XXXX game has a good story with funny characters and some deeper themes. 5/5. You should buy it" Our job is to actually analyse the narrative, give examples of the key themes and ideas that are exhibited through it, and explain how the deeper themes are reflected within the narrative. We also then need to put it in the context of gameplay, art, and all the other elements of the game, and preferably do so in a nuanced manner that cuts to the real value and importance of a game, in a way that goes beyond the selling points you find on the back of the box. It's possible to do all of that without spoiling key twists and reveals. As anyone at DDNet knows I go to great efforts to avoid spoiling the genuine surprises in any game I review. But it's impossible to do any of that if you also can't talk about - or show - any of the specifics within the game. There's also a real inconsistency in what people consider to be "spoilers" - and as a critic this can be infuriatingly difficult to navigate in a way that doesn't end up angering someone. 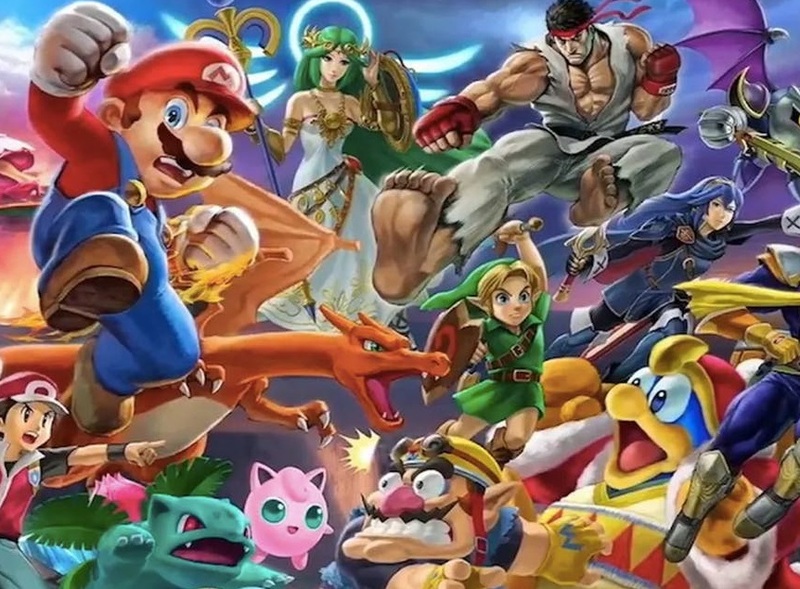 For example, when Nintendo announced the full roster of characters in Smash Bros. Ultimate, it wasn't a "spoiler." It was something to "get hyped" over. When Nintendo shared clips of the game in action, or played some of the music, it wasn't a spoiler. When Nintendo invited media to play the game and write hands-on impressions of the small selection of content it wanted us to talk about, it wasn't a spoiler. But the moment someone outside of Nintendo talks about anything outside of the range of content that Nintendo has used in its promotional efforts leading up to that point, that person earns the wrath of a rather large body of Nintendo "fans," if not Nintendo itself, for "leaking" a "spoiler." (Nintendo is just an example here based on the current controversy of the moment. It applies equally as validly to any major publisher and halfway prominent game release). It's frustrating because as a critic it's my job to go beyond what publishers like Nintendo have used in the promotional material. Publishers dole the news out at specific intervals and build a marketing plan around what they want people to see of a game. None of this is done because the publisher cares about the fans. It's done to maximise sales. As part of that effort to control the marketing train, publishers also put restrictions on what the media can write about. Those restrictions - part of an agreed-on list of conditions we sign up for with the embargo in order to get early access to the game - are a weapon that the publisher uses to, again, make sure that the journalists are only covering what they want us to cover. Those restrictions are getting more and more strict. Without naming names, one game from a while ago had such memorably extreme restrictions on it that you weren't meant to allow your spouse or family watch you play. Another embargo condition for a different game, again, a while ago, didn't let you talk about the box the game came in. The strict nature of embargoes is flowing into what we're allowed to talk about within the games too. Even just a few years ago a strict embargo would be one that simply asked us not to reveal major plot points or the conclusion. More frequently now, we're given a long list of things that we can't reveal or talk about; the grand sum of which means it's pointless to try and convey any specifics past the first few couple of hours. Most ridiculously of all, these embargo restrictions are often being placed on HD Remasters and other such remakes of games that are years old. Imagine if a film studio only allowed film critics to only talk about the first 20 minutes of a film, or a book publisher covered everything past page 50 - including the introduction of major characters - with an embargo? Imagine if we weren't allowed to mention that Frodo Baggins had the One Ring and was on a journey to destroy it, or that Thor goes on a quest to get a new weapon in The Avengers: Infinity War? It would become impossible to talk about those films or books at any kind of meaningful depth. The reality is that embargoes are good for the marketing strategy of a publisher (and are, as I said, weaponised to prevent us from talking about things that will be more contentious, but they're bad for the critical process. Ultimately, that makes them bad for the entire community, who stands to be less informed, and have fewer meaningful conversations about games. Slowly, but surely, conversations in video games are slipping towards endless discussion about marketing key points, and nothing more. Publishers get away with doing this because of the outrage that they're able to foster from the community around "spoilers." And as a result, we see less truly great and valuable criticism of a game until months have passed and spoilers are no longer a concern. Most of the time, anyway. I remember a time where I got yelled at, months after the fact, for some writing I did on Persona 4, a game that has been around since the PlayStation 2, because I talked about the ending. It's absolutely fine if you want to go into a game unspoiled. I've been there plenty of times in the past myself. But it's also quite easy to avoid spoilers. I'm the editor of a games website, and deep with the media and news cycles in the games industry, but even then, through the muting of specific keywords on social media, and simply not clicking onto certain videos and headlines, I was able to avoid spoilers for games like NieR: Automata and Persona 5 that had been "leaked" before I got my hands on a copy. It's important to remember that when people do get their hands on a game they're excited for, they're naturally going to want to share that experience with people. Even if they got it from a retailer that has done the wrong thing and broken street date. It really doesn't reflect well on anyone who would try to tell others that they can't experience a game on their terms because it might affect your experience of it. It's fine to want to avoid spoilers, but ultimately it's your responsibility to make sure you do that. All this outrage over the most minor of spoilers (yes, including music tracks being in a game, or non-critical plot points in a story-driven game), is only helping the game publishers lock down the conversation about those video games, and turn games from an art form into something purely productised.